While “work smarter, not harder” would’ve been an appropriate title for this blog post, it’s not nearly as accurate as what we’ve chosen. Far gone are the intricate works of Lambeth cakes, only to be replaced by comparatively lazy trends that look fancy af but are absolutely lazy af. Also, if anyone is unsure of what ‘af’ stands for, please consult our dear friend Urban Dictionary. Once you’re past the shock of us dipping into the young people’s vernacular, we hope you’ll read on and find the suggestions below helpful and enlightening! Does it get any fancier than goooooold? Gold luster, gold dust, gold flake, gold gold gold gold gold. 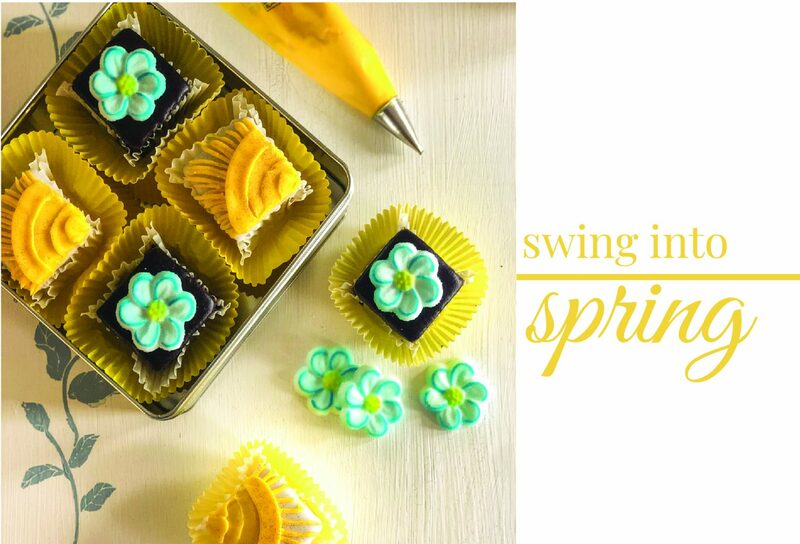 It’s on trend and it also happens to be painfully easy to incorporate. You can buy edible gold at most bakery supply stores or on good’ol amazon. 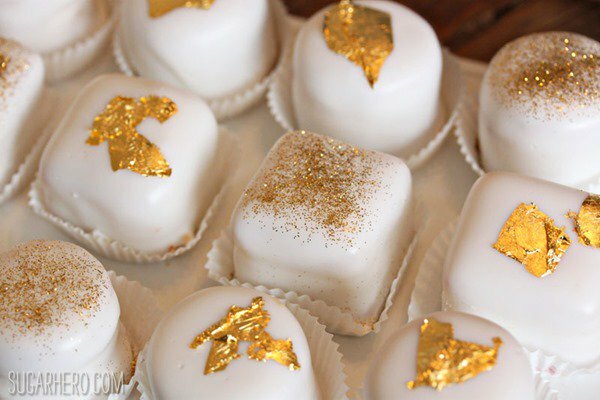 Achieve maximum fanciness and maximum laziness by sprinkling some gold dust or adding a gold flake on top of Baker Maid’s petit fours. This simple addition will wow your customers AND give you extra time to basque in their praises. Do you have broken pretzels sitting at the bottom of a poorly designed snack bag? 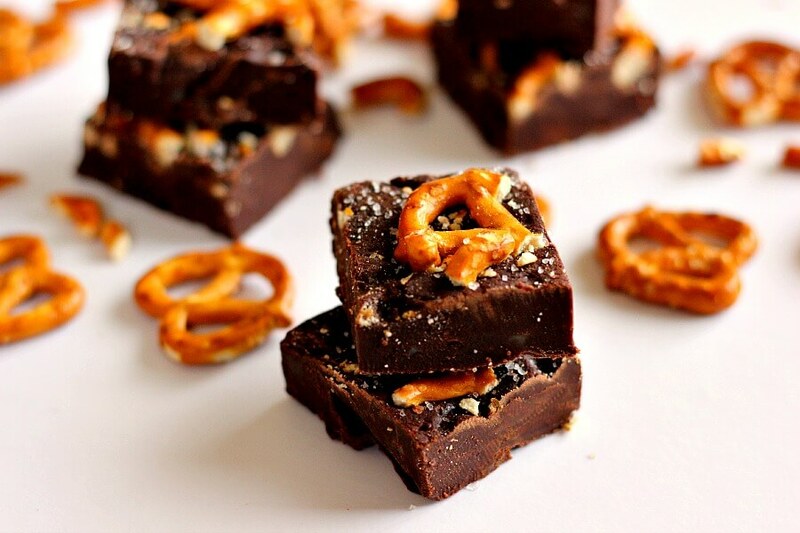 Is your coworker’s brat kid guilting you into buying chocolate covered pretzels for a fundraiser? Stick those bad boys under some plastic wrap and take out your aggression and frustration by crushing them with a rolling pin. 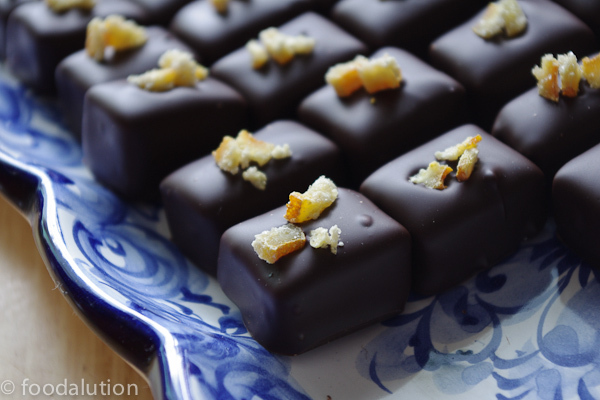 Justify your temporary temper loss by sprinkling the shards of your salty enemy on top of our petit fours! 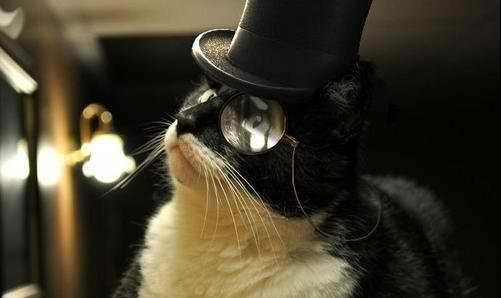 Not only were you lazy af, but you also made your ish look fancy af and got in a good therapy session! Let’s be real here – making candied fruit rinds looks super fancy but is a huge pain in the bumbum. Lucky for my generation of lazy af millennials, Amazon is here with candied orange peels and a 2-day delivery guarantee. Again, what looks like hours of work can be amounted to a full 2 seconds of ripping open a goody bag and placing someone else’s hard work on top of Baker Maid’s completely ready-to-serve petit fours. It’s okay, you can take the credit. Nuts have the benefit of tricking people into thinking that there is some semblance of nutritional value in what they’re eating. Nuts = Protein, right? Give Aunt Pam and her yoga pants what they really want: chocolate and a false sense of diet security. 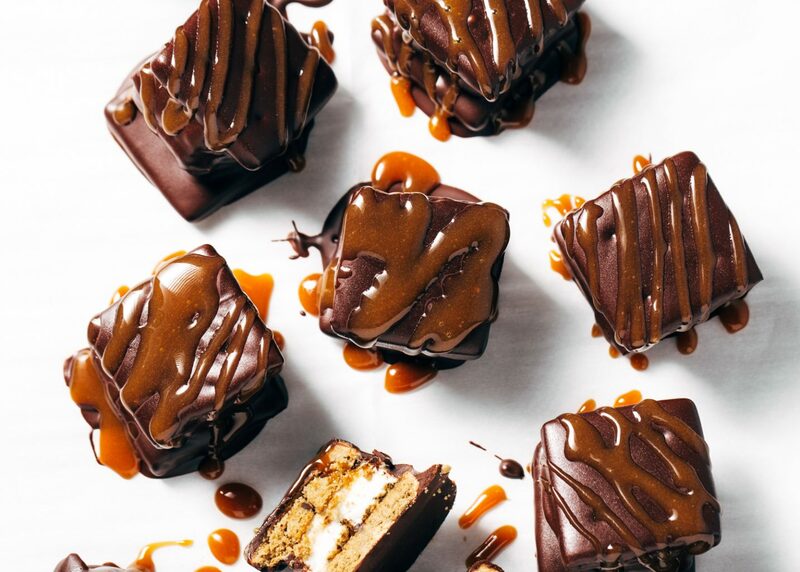 In addition to the nut’s ability to raise the imaginary health points in almost any dish, they’re also a lazy af way to make your petit fours fancy af. 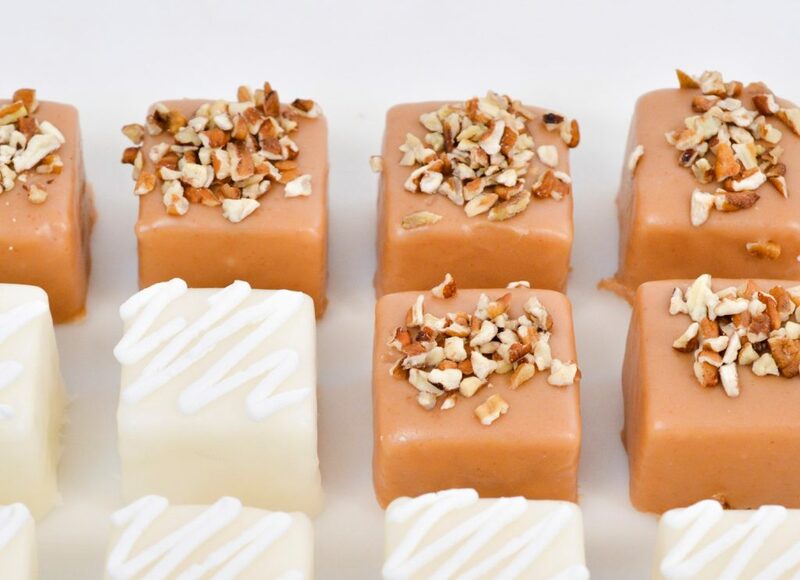 Nuts are available sliced, chopped, dipped, and dunked and it takes very nearly zero effort to throw them on top of our ready-to-serve petit fours. Unlike most of our other suggestions, this obnoxiously lazy technique actually has the nerve to activate your biceps. 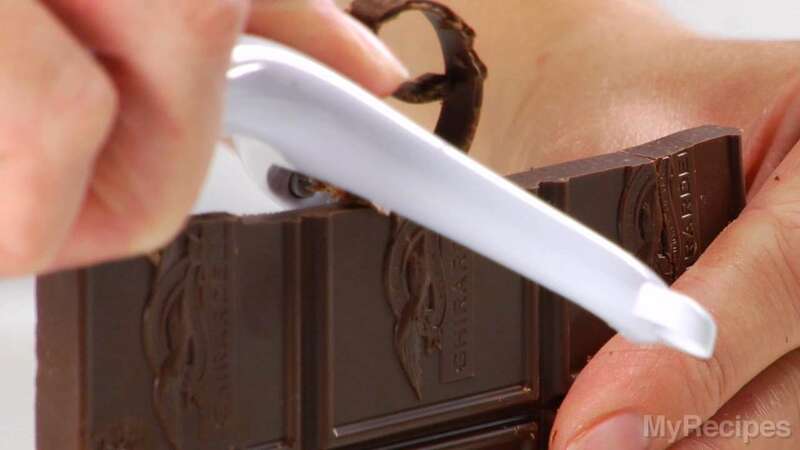 Whether your bakery employs the use of Hersheys Bars or a Callebaut Chocolate brick, a vegetable peeler and some aloof movements can produce a fancy af chocolate shaving finish to Baker Maid’s petit fours. Luck for you, Mother Nature and the hardworking folks of the United Farm Workers of America did all of the work for you when it comes to this lazy af technique. 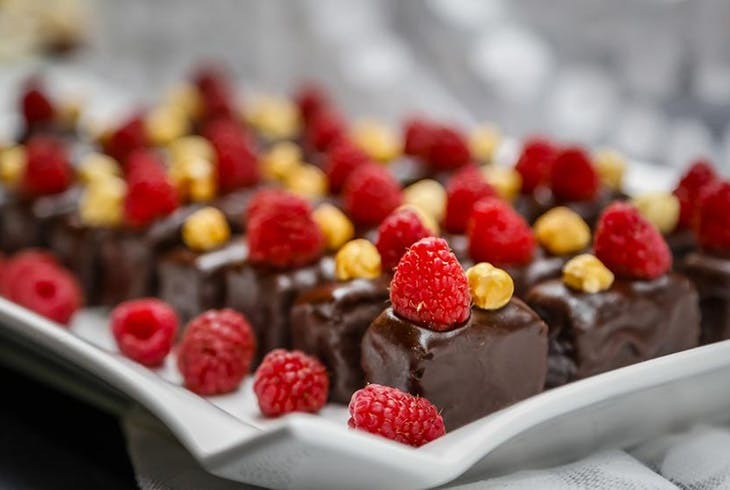 Top Baker Maid’s ready-to-serve petit fours with fresh fruit and some powdered sugar to create an elegant and fancy af dessert with nearly zero effort.